Costly roof damage affects over 80% of food industry facilities, from exhaust fan grease discharge alone. How can you prevent this from happening to you? By investing in the right rooftop grease containment system for your business. This system filters out the grease and oils from the exhaust, keeping it from ever reaching the roof’s surface. 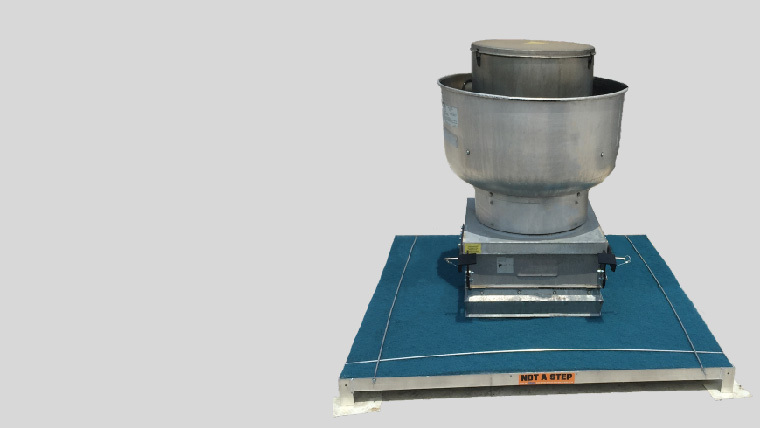 You can rely on Facilitec West to provide the high-quality grease containment system you need to keep your rooftop hazard free. Why is Rooftop Grease Containment Important? A truly comprehensive grease containment system requires more than just a grease catch – or filter – on your exhaust hood. It needs an integrates rooftop grease containment system tailored to your company’s specific needs. What’s is Rooftop Grease Containment? As the grease is carried in the hot air through the exhaust hood and ductwork, and out the exhaust fan, it deposits grease along the way. The grease that reaches the top, expelled by the exhaust fan, gets trapped in the exhaust fan’s surrounding containment. It then is allowed to drain out into your grease containment system. If you don’t have the proper containment system for that grease, it can overflow. When this happens, roof damage and other hazards become an issue. Whatever your combination of grease containment methods used, consistent maintenance will be essential for their effectiveness. Our preferred brand of rooftop grease containment products is Omni Containment. Eco-Friendly, specially developed hydrophobic filter technology that helps with wastewater pollution mitigation, as well as utilizing recycled materials to create their products. Specifically tailored for a variety of restaurant types, with five distinct designs. If 80% of food service businesses end up paying for costly roof damages, make sure you’re in the 20% who don’t. Call Facilitec West today to ensure you have the grease containment system you deserve. Keeping kitchens fire safe since 1986.